San Antonio’s beautiful Riverwalk boasts gorgeous landscaping and winding sidewalks, but it’s also home to a variety of unique public art. Numerous artists have added life to the Riverwalk with mosaic tile creations, shimmery flying fish, waterfall grottos and much more. 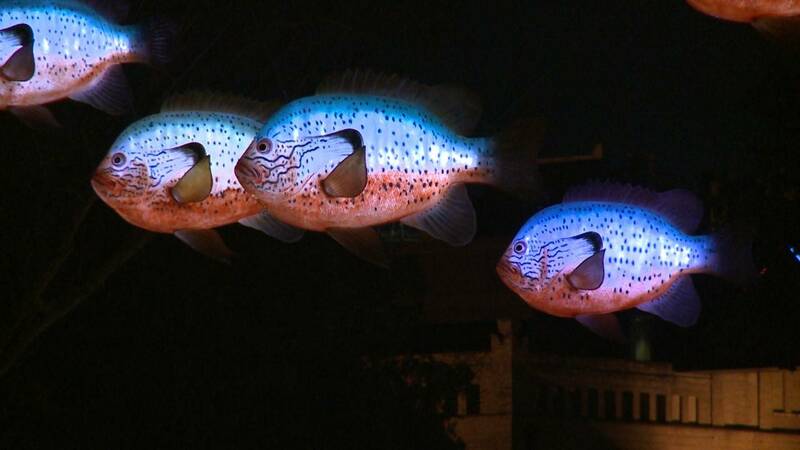 In this episode of ARTS, Donna Parker takes a look at some of the imaginative works that delight both tourists and natives along the San Antonio Riverwalk. Watch this episode of ARTS airing Thursday, May 18 at 8 p.m. on KLRN.